THE sale of two ‘specials’ – high value stones – from Firestone Diamonds’ Liqhobong mine in Lesotho helped offset lower-than-expected revenue for its run-of-mine (ROM) diamonds, whilst the discovery of a 326 carat near-gem stone suggested the mine had “large stone potential”, the company said today. Commenting on the firm’s first quarter performance, as well as sales numbers from the firm’s second tender of the year, Firestone CEO, Paul Bosma, said average realised prices for the mine’s diamonds had been lifted by the sale of a 68 carat white diamond for just under $1m, and a 20 carat fancy yellow diamond. The outcome from the company’s second sales cycle, which fell outside the first quarter reporting period, was an average realised price of $79 per carat compared to $70/carat in the quarter. Pricing for smaller, lower value stones was under pressure, said Bosma. Net cash at the end of the quarter was $25.7m (Q4 2018: $27.8m). Improved revenue in the second quarter may provide a modicum of support for shares in Firestone Diamonds which have more than halved in value since January. The company currently has a market capitalisation of £22.9m on the London Stock Exchange. “We completed our second sale of the financial year post the quarter end, and pleasingly, the strong demand for our special stones offset the continued pricing pressure on the ROM [run-of-mine] stones …,” he said. “During October we also recovered our largest stone to date, a 326 carat near-gem diamond which provides further evidence of Liqhobong’s large stone potential and importantly, the ability of the treatment plant to recover larger stones intact,” said Bosma. A total of 240,733 carats were recovered in the first quarter from Liqhobong at a grade of 23.8 carats per hundred tonnes (263,512 carats at 25.7cpht). 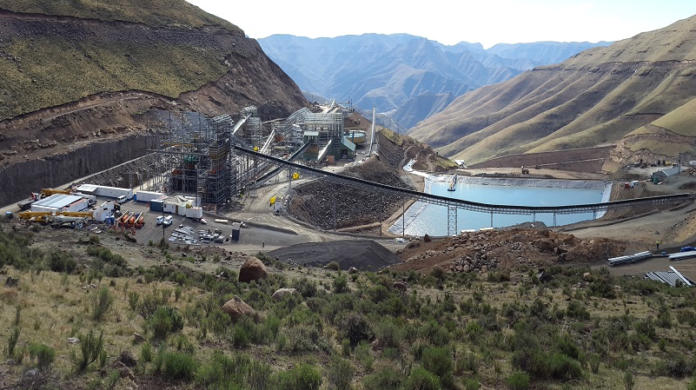 The cost per tonne of ore treated was $10.05 ($10.98/t) which was lower than guidance of between $15 and $16/t treated for the 2019 financial year. A total of 194,206 carats sold in first sale of the financial year (261,985 carats), realising revenue of $13.5m ($18.6m). Some 102,835 carats were sold in the second sales cycle on October 26 realising $8.2m in revenue. Firestone Diamonds produced 835,832 carats for its 2018 financial year which was within guidance for the period. However, the company said the incidence of high-value diamond recoveries had been lower than hoped at its Liqhobong.